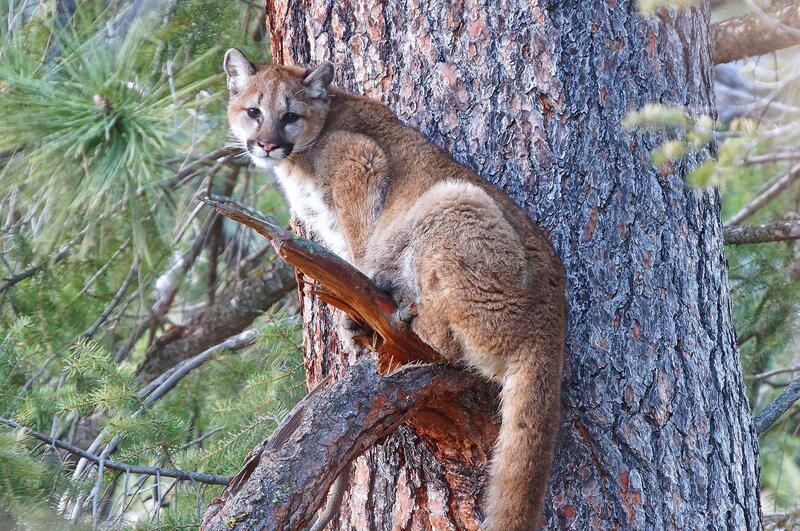 UPDATED: Tue., Feb. 5, 2019, 8:25 p.m.
MACKAY, Idaho – Idaho wildlife officials say a woman who thought she was breaking up a dog fight quickly realized she’d grabbed hold of a young mountain lion. Despite her surprise, she managed to restrain the 35-pound male cougar and her dog while she yelled for her husband, who was still inside, to come out with his gun. He arrived and shot the wild animal while she held on to it. Wildlife authorities have taken the carcass for testing at the Wildlife Health and Forensic Laboratory to determine if the animal was diseased. The woman and the dog were scratched during the incident but otherwise appeared unharmed. Published: Feb. 5, 2019, 11:31 a.m. Updated: Feb. 5, 2019, 8:25 p.m.